Pad Sew Ew (also spelled pad see ew, pad si u, or phat si io) is a popular meal in Thailand and Laos: essentially stir-fried noodles with meat, eggs, cooking greens, and soy sauce. 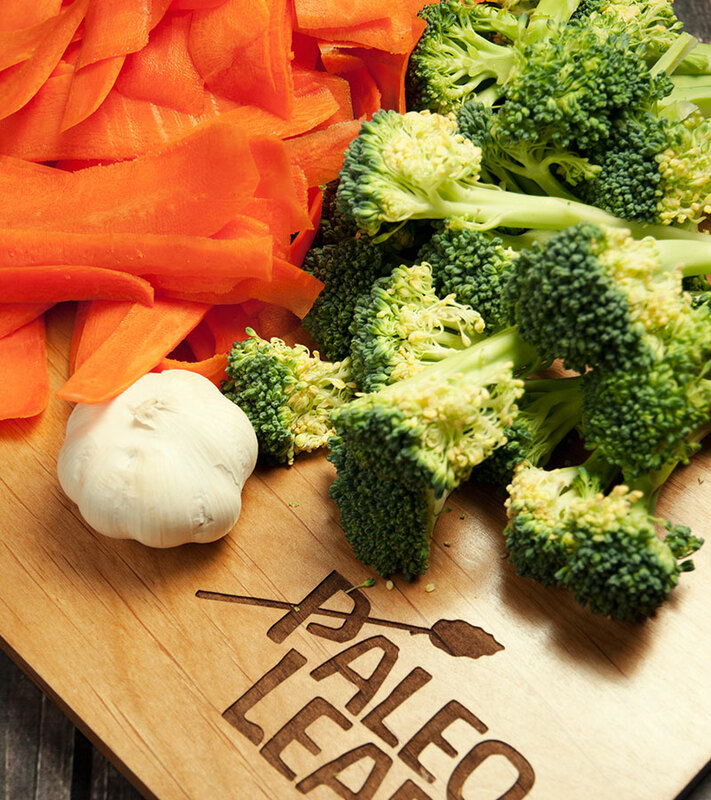 To make it Paleo here, the noodles get subbed out for thinly-shaved carrots, and the soy sauce is replaced with coconut aminos: same taste, but minus the soy and wheat (you can buy coconut aminos at most high-end grocery stores or health-food stores, or online). 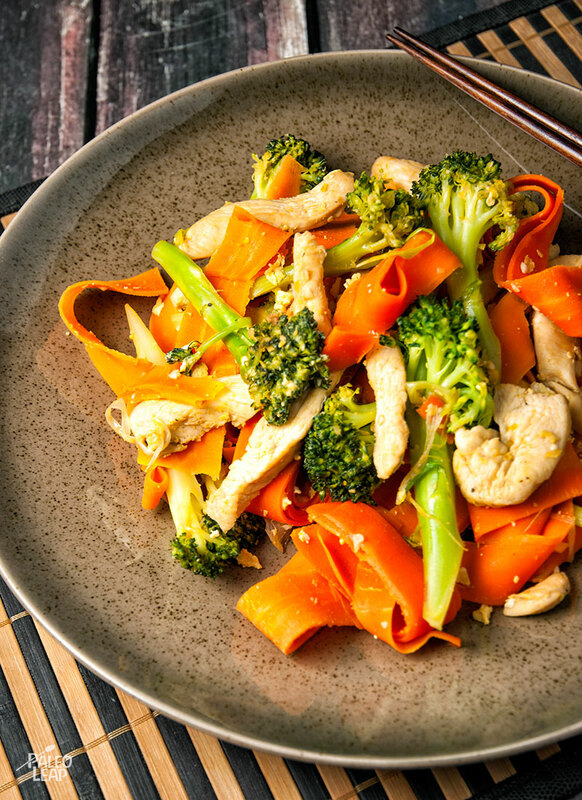 As a nice bonus, swapping noodles for carrots doesn’t just make the dish more nutritious; it also gives it a much nicer color: bright-orange carrots are just more attractive than dull brown noodles. Just make sure you don’t overcook them – ideally, vegetables should be cooked just until they start getting tender and change color, not until they’re mushy and lifeless. Fair warning: you’re going to need a pretty big skillet to make this recipe happen: if yours isn’t quite up to the task, you might consider scrambling the eggs in a separate pan and then mixing everything up at the end. Same taste, but you won’t have to worry about anything overflowing. Add the garlic and ginger to the skillet and sauté for 2 to 3 minutes. Add the chicken and sauté for another 5 minutes. Add the broccoli, coconut aminos, and honey, and cook until broccoli has softened a bit. Add the carrot and green onions, and cook for another 5 minutes. Push the vegetable-chicken mixture to the perimeter of the skillet, making an empty space in the middle. Scramble the eggs in the empty space.